Hide this Project (Bren Unity) Discover properties in other projects by hiding the ones that doesn't interest you. You won't see them in your searches further but you can unhide anytime later. Hide this Dealer (PropIntellect)Discover properties by other dealers by hiding those whom you have already spoken to. You won't see them in your searches further but you can unhide anytime later. Hide this Dealer (Neeraj) Discover properties by other dealers by hiding those whom you have already spoken to. You won't see them in your searches further but you can unhide anytime later. Bren Unity, a ready to move residential development by Bren Corporation is located in Dodda Nekkundi, Marathahalli, and Bangalore East. The project offers opulent spacing 2-3BHK apartments which are designed to meet the needs of potential homebuyers. The project is equipped with modern facilities and amenities including club house, multipurpose hall, sports facility, intercom, open space, swimming pool, gym, landscape, paved compound, car parking, power backup, lift, among others. Dodda Nekkundi, Marathahalli, a developed residential locality is strategically offering superior connectivity benefits to its residents. Apart from swift connectivity other factors like good social infrastructure, well-structured commercial establishments, proximity to essential civic utilities and other parts of the city, and connectivity with all the public transit systems has inspired the developers to launch their extraordinary residential and commercial projects. Interested top notched developers are keeping themselves updated about the Bangalore?s realty industry trends. This preference is because they are interested in launching their property in this hottest realty destination of India. The place which has a good spread of high-rise residential properties is also catering to the demand of house seekers who wish to invest in suitably priced residential properties. What is the location of Bren Unity?The location of the project is Dodda Nekkundi, Bangalore East. What is the area of apartments in Bren Unity? The area of apartments offered in the project ranges from 958.0 sqft to 1251.0 sqft. How much is area of 2bhk in Bren Unity? Two-room units (2BHK) in the project are available in an area of 958.0 sqft. What is the area of 3 bhk in Bren Unity? Three-room units (3BHK) in the project are available in an area of 1251.0 sqft. How much is the actual area of Bren Unity?The area of the project is 5.0 Acres. What is total price of 2 bhk in Bren Unity? The price of 2 BHK units in the project ranges from Rs. 6900000 to Rs. 7000000. Bren Corporation is a real estate company with a difference. While most developers restrict themselves to the technicalities of construction, professionals at Bren builders also pay attention to achieving highest level of customer experience. A legacy that extends back to four decades Bren group was earlier known as SJR Group. It was the eventful year of 1973 when SJR Group came into existence, making a spectacular foray in infrastructure. ered a state-of-the ?art commercial office tower for IT giant Infosys. By the dawn of 21st century, the company had spread its branches in various areas of property development including commercial, residential constructions and integrated townships. In 2006-07, Bren further expanded its expertise to retail and hospitality. By the year 2013, the company had successfully completed construction over 10 million square feet of land. Hello all, I want to buy an apartment in Bren Unity for investment purpose. I want to know about flats available here and their price? Also, throw some light on builders reputation. I hope there is no controversy related to this project? Dear Priyanka, Bren Unity is a ready project which was completed in May 2013. The project is spread across 5 acres of land and features 18 towers with 6 floors & 432 units. Currently, you can get 2BHK and 3BHK apartments here within a price bracket of Rs 59 lakh to Rs 77 lakh. Also, there is no controversy related to this project and its a safe project. As far as a builder is concerned, Bren Corporation is a reputed builder. With years of experience in real estate sector, this group has delivered several projects in Bangalore and many projects are in the construction phase. Some of the successfully completed projects of Bren Corporation are Bren Woods in Electronic City Phase II (Bangalore South), Bren Trillium in Electronic City (Bangalore South), Bren Palms in Kudlu Gate (Bangalore South), Bren Paddington in Sarjapur Road (Bangalore East) and Bren Celestia in Kaikondrahalli (Bangalore South), among others. I want a property for long-term investment and I have selected Bren Unity for that. Can anyone tell is it a wise decision to invest in this project? Also, what legal approvals builder got in this project? 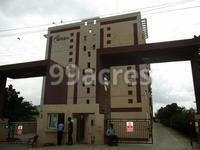 Hello Kunal, located close to Outer Ring Road, Bren Unity is a ready project which was completed in May 2013. At present, you can get property here within a price bracket of Rs 59-77 lakh. Also, the project is legally approved by Bruhat Bengaluru Mahanagara Palike (BBMP), Bangalore Water Supply and Sewerage Board (BWSSB), Bangalore Electricity Supply Company (BESCOM) and A Khata. Since you are looking property for investment purpose, I would like to tell you that investment in a relatively new project (2-3 years old) or one that is under construction as it has the potential of seeing a price rise once possession is given. However, this project is 4 years old. I am listing down a few under-construction project in East Bangalore, you can go through the list and see if you would like to invest in any of them: - Sunshine Signature in Sarjapur Road (Possession: December 2019) - Narya 5 Elements in Whitefield (Possession: May 2019) - Godrej United in Whitefield (Possession: December 2019) - Ozone Promenade in Whitefield (Possession: December 2019) - Spectra Sylvan Annexe in CV Raman Nagar (Possession: January 2019) For more options, you may refer to this link: https://goo.gl/amhMZS It will give you multiple options about listings posted by various owners and brokers for the same project.